Another little guy from Chincoteague on Sunday. So good to see you still hanging in here! S/he is a real cutie. Nicely processed in B&W! 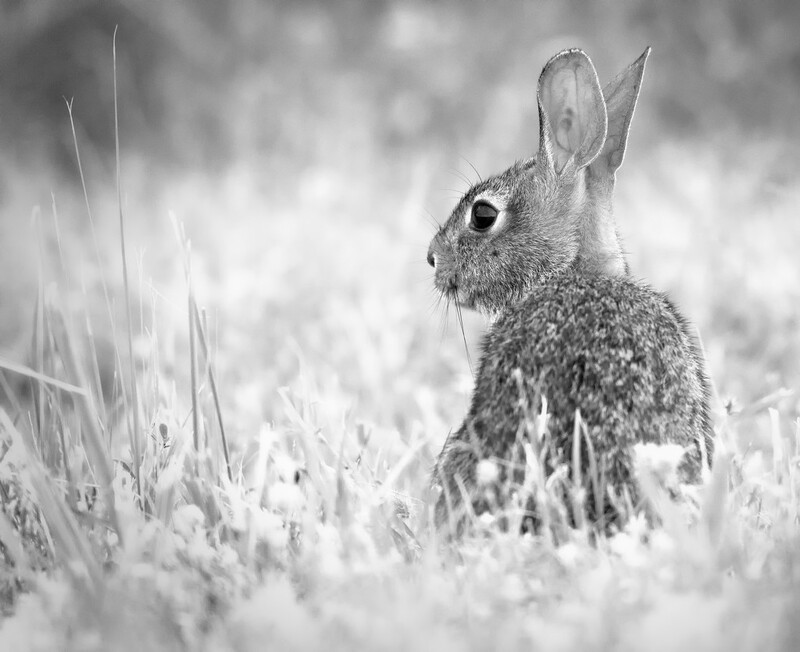 Watership Downish - such a soft image but with rather special detail. Looks like the wee bunny I worked with a couple days ago! Isn't it grand when we have the time ti actually "work/play" on our projects? !